How do you reset a single tool (or all of GIMP) to default after you totally messed up the settings? Help much appreciated. 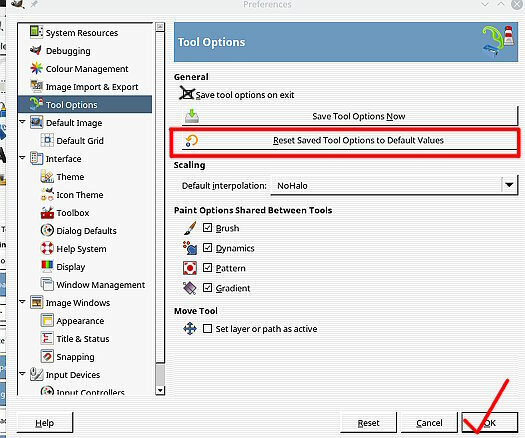 If you go into Edit -> Preferences -> Tool Options and click on Reset Saved Tool Options to Default Values OK that and restart Gimp, see if it fixes the problem. While you are there see that Save tool options on Exit The default is enabled, so Gimp starts up the same as you left it. That is why your scrambled settings are still scrambled.